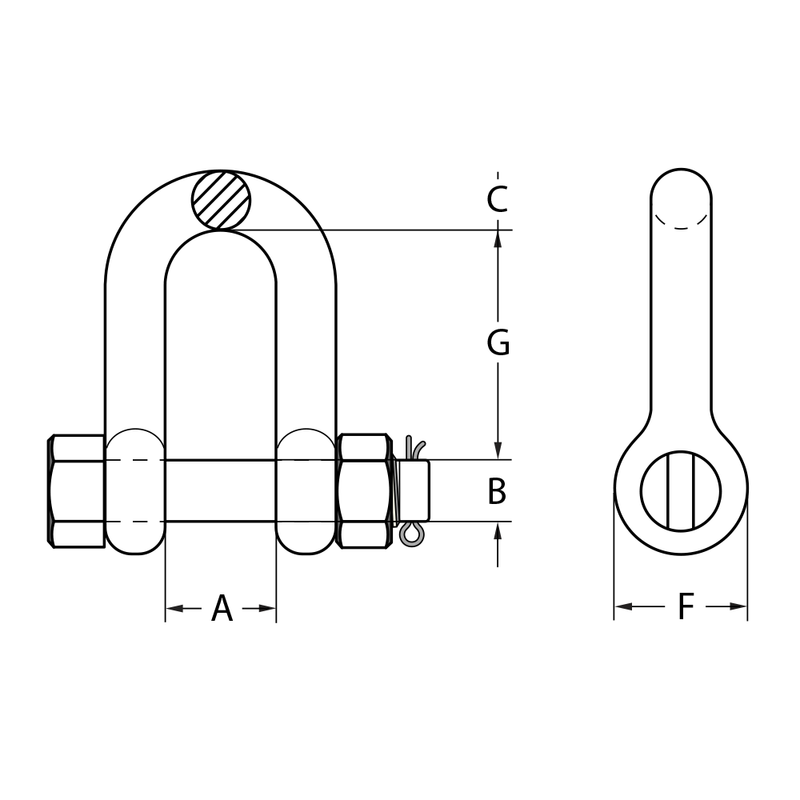 Safety Pin Dee Shackle are most commonly used for lifting applications, providing more permanent connections to Chain, Wire Rope and other rated fittings within the Marine, Agricultural, Mining and Engineering Industries. Suitable for equipment that may vibrate to ensure pin will not dislodge during use. The Safety Pin allows the pin to rotate during loading conditions. 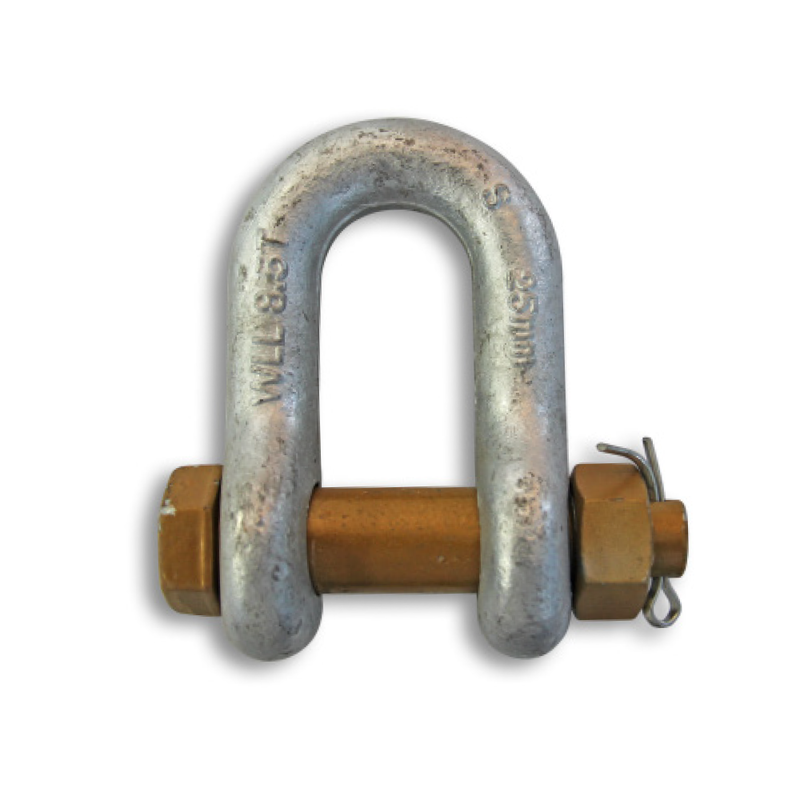 • Conforms to AS2741 manufactured from Grade “S” material in Dee configuration with Safety Pin hot dipped galvanized. • Test Certificates are available upon request.